Over 500 boats took part in the 2017 RORC Season’s Points Championship, with teams flying the flags of 30 different nations from Canada to Russia and Chile to New Zealand. 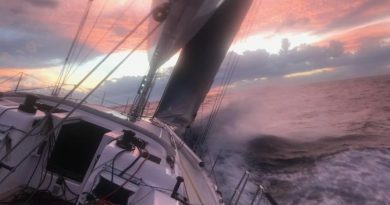 Well over 4,000 sailors took part, and whilst the majority of the races were in the English Channel, the Championship included the Atlantic Ocean, the Caribbean Sea, the Celtic Sea, the Mediterranean Sea and the North Sea. 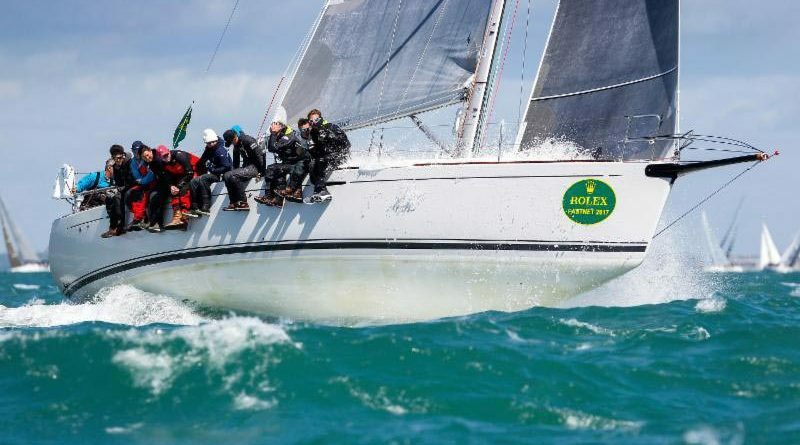 The 13-race series, which this year included the Rolex Fastnet Race, is truly international and it is the largest offshore series by participation, anywhere in the world. For the serious offshore sailor, winning the championship is a real challenge. The overall winner of the 2017 RORC Season’s Points Championship is Nick & Suzi Jones‘ British First 44.7 Lisa, skippered by RORC Commodore Michael Boyd. 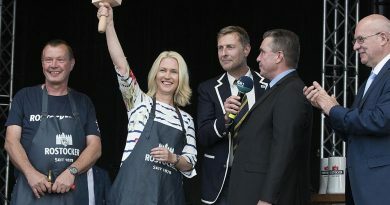 The corinthian team retained the title from 2016; the only yacht to achieve the double since Piet Vroon’s Dutch Ker 46 Tonnerre de Breskens (2011-12). Gilles Fournier & Corinne Migraine’s J/133 Pintia was second overall and Thomas Kneen’s JPK 1080 Sunrise was third. The impressive fleet for the RORC Season’s Points Championship is separated into six classes racing under IRC, a Class40 Division and a Multihull Class. Two outstanding results from this year’s Championship were in IRC Two Handed and IRC Four. Rob Craigie’s racing Sun Fast 3600 Bellino with Deb Fish, was the winner of the IRC Two Handed Class. Racing in a fleet of 78 teams, Bellino fended off a strong challenge from Ian Hoddle’s Game On, and Ed Fishwick’s Redshift Reloaded. 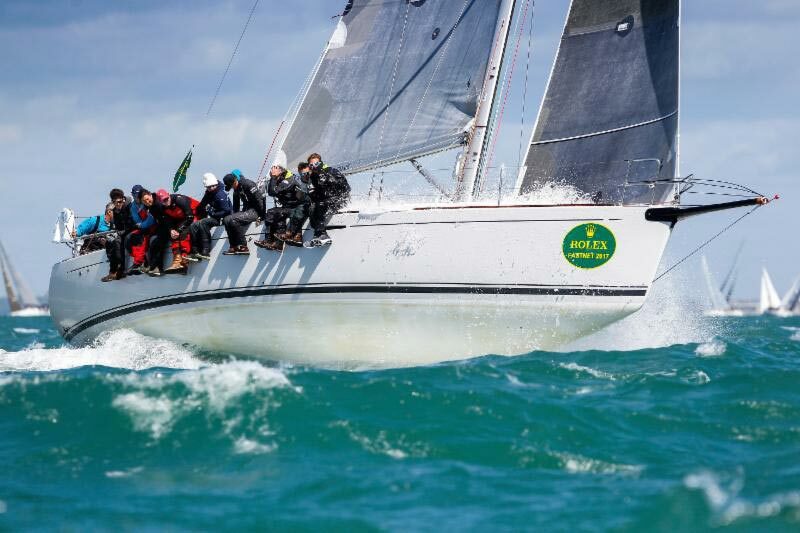 Noel Racine’s French JPK 10.10 Foggy Dew has been in scintillating form, securing the class win in IRC Four in a fleet of 116 boats, with two races to spare. Foggy Dew’s winning streak in the Championship dates back to 2013. The Annual Dinner and Prize Giving for the 2017 RORC Season’s Points Championship is a spectacular event where prize winners, competitors, crews, RORC members and guests will celebrate the achievements of 2017. Tom Needham, Lisa First 44.7 Suzi & Nick Jones (skippered by Michael Boyd for all races except De Guingand Bowl) Duncan Munro Kerr Youth Challenge Trophy Between 15 & 25 on 1st Jan 2016 with most RORC miles in current season and yacht is in top three of class.